This is a guest review courtesy Arati Luthra Pinto. She introduced me to creative writing when I was 8 and I am thrilled to have her review a book on my blog. Arati Luthra Pinto has regressed from working with children to working with adults. She hopes to re-progress soon. She works to make teaching-learning scenarios become creative, engaging and effective. 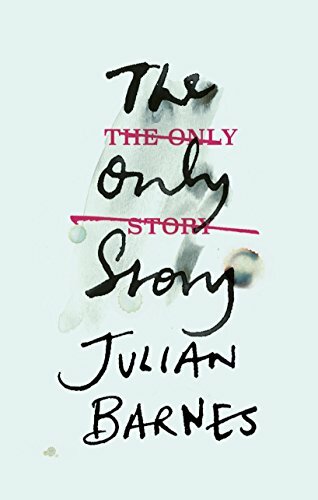 The latest by Julian Barnes is a nuanced story about love- as experienced and explored and seen by a teenager and later introspected and analyzed by the same person when he is much older and the love is much transformed as well. There is a neatly entwined shadow play of memory and perception, of remembering and forgetting. Paul, a nineteen year old, happens to partner Susan, a much older woman, on the tennis court. The mixed double pair gets emotionally entwined and more than their game gets affected-their life is set on a new path. Set in England in the sixties, the story tells the reader about intense, passionate out-of-bound love, from the outside and the inside, the incidents and more engaging- the psychological angle to the incident. These two waltz through side by side keeping the reader engaged to the interactional going ons and to the inner world. Paul, we get to know through his actions and his self reflective and critical thinking. We get to know Susan through Paul’s eyes. He gives her a lot of space in the story and observes her very minutely in his rendering of the story. The book is divided into three parts. The first, narrated in first person by nineteen year old Paul, moves at a quick pace- describing the build up of the relationship, interspersed by Paul’s cynical and sardonic quips about the suburban world around him. The second part carries on in this form and then segues into being written in second person- as if the writer is telling Paul what happened to him, and what he felt and what he did. It is also when the relationship shifts ground and Paul is swimming in the vast ocean of newness, shocks and the unexpected. This is a very interesting maneuver because it provides the reader too, with some distance and in a way prepares us for what is to come: Part three, written in third person. There is even more distance and a lot more reflection and profound analysis. This section sometimes plods along like a thesis on Love Dissected. Yet it is extremely readable because of its authenticity and honesty and the clever connect to some trivia that was mentioned in passing in the earlier sections. A recommended read for those who enjoy a delicate thought put across delightfully with the appropriate choice of word/ phrase/ metaphor. And for those given to scratching beneath the surface- there is much to learn. And reflect and question. Read this and you will be reaching out for more from Julian Barnes.